Originally founded as Hawksburn Cricket Club in 1879, the Club played on grounds in Hawksburn and Albert Park before moving in 1893 to Toorak Park where it has remained to this day. A successful junior club, Hawksburn sought affiliation with the Victorian Cricket Association and became a senior club in the colony's peak competition in 1895. They played one season in 'B' division – in which both the First and Second XIs won every game – and were promoted to 'A' division for the 1896-97 season. The first game of the 1896-97 season, against East Melbourne, serves as the starting point for the Club's "official" history. Included in the XI for that first match were three Rush brothers – Harry, Eddie and Tom – the first of three generations of a family that continued its association with the Club until the 1970s. Harry Rush went on to become a leading administrator within both Victorian and Australian cricket circles, including a stint as Chairman of the Australian Cricket Board in the 1920s. Eddie's score of 293 not out against Carlton in 1897-98 still stands as the highest score by a Hawksburn/Prahran batsman. Hawksburn's first premiership came in the 1899-1900 season, overpowering a strong East Melbourne side in the Final, with the Club's first Victorian representative John 'Dodger' O'Connor taking four wickets. Six seasons later came the Club's second flag – Hawksburn's wicketkeeper for that season was William 'Barlow' Carkeek, the Club's first Australian representative. District cricket was introduced in the 1906-07 season, after which, on May 31 1907, the Club's name was changed to Prahran to better reflect the district it represented. In the years leading up to the First World War, Prahran won two more First XI premierships and its first Second XI flag. The period after the War proved to be a golden era for Prahran. The Victorian Cricket Association offered the Victory Cup to the first club to win three consecutive premierships. Prahran achieved the feat within just four seasons, winning the 1920-21, 1921-22 and 1922-23 titles. 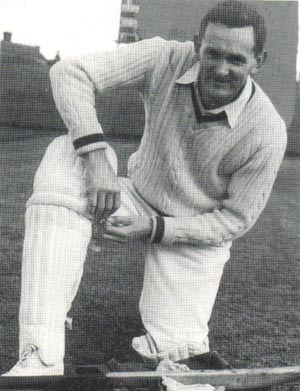 Clarrie Grimmett, who would go on to represent Australia, led the way with the ball taking 174 wickets over the three summers. 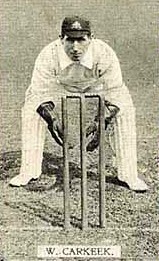 The leading batsman for the premiership years was Gerald Healy, whose 1557 runs included 230 in the famous final of 1921-22 where Prahran accumulated 688 runs against Collingwood. This remains Prahran's best team total and is the highest score by any Premier team in a final. Healy amassed 7527 runs during his career, a club record which stood until the 1990s. The 1940s and 50s proved notable in Prahran's history as they produced numerous names rightly considered to be giants of the Club. 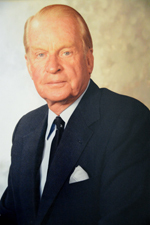 Bob Parish captained the First XI, served as Club President for 27 years and was twice Chairman of the Australian Cricket Board; David Mandie, a player and administrator who is best remembered for his generosity to the Club in difficult times; and Bruce Murray, whose games and wickets records stood for more than 40 years. Towering above all was Sam Loxton – he debuted in Prahran's Third XI at the age of twelve, captained the First XI, scored over 5000 runs, took more than 300 wickets and almost single-handedly won Prahran's premiership in 1954-55. In that season, he took 58 wickets and scored 626 runs, the finest all-round performance in the Club's history. In the Final, he top-scored with 129 and took seven Hawthorn-East Melbourne wickets. 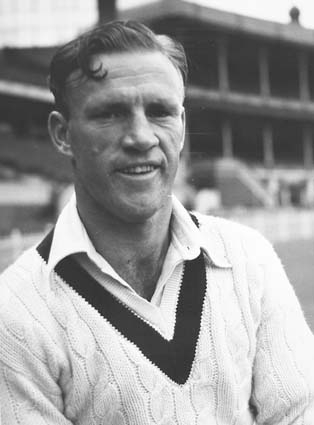 Loxton also represented Victoria, scoring 232 not out, still the highest score on debut in Australian first class cricket, and Australia, touring England with Bradman's Invincibles. After his playing days, he continued his association with all levels of cricket, serving as Vice-President at Prahran, a delegate with Victorian cricket, tour manager and selector for the Australian team and turned to umpiring when in his seventies. Away from cricket, he played Australian Rules Football for St Kilda, commentated sport and was a Member of Parliament in the Victorian Legislature. In the late 1970s and early 1980s, Prahran produced three Test cricketers – Dav Whatmore, Julien Wiener and Simon Davis. The premiership of 1983-84 came after a period of sustained excellence led by Whatmore, whose 145 in the final contributed to a record-breaking 912 runs for the season. Whatmore would also go on to break Gerald Healy's career run tally, setting the new benchmark at 7994 runs. Dav subsequently pursued a career as an international coach, famously leading Sri Lanka to victory in the 1996 World Cup. In recent years, Prahran has produced Victorian and Australian representatives – in 2003-04 Jason Arnberger, David Hussey, Bryce McGain and Jon Moss all represented Victoria in the Sheffield Shield match against Western Australia. Hussey also represented Australia in One Day and T20 Internationals, while McGain became Prahran's sixth recipient of the famous Baggy Green cap. In 2013-14, James Miller won the Jack Ryder Medal for the best player in Premier Cricket, becoming the second Prahran player to win the award after Michael Ephraims' victory in 1985-86. In the same season, Neil Schlittler broke the Club's games record finishing his career with 233 games. In 2014, the Club's seventh Test represenatative, Chris Rogers, became the first Prahran player to be named one of Wisden's Cricketers of the Year. In Prahran's long history, few events have been as significant as the announcement on July 15 2014 that the Club was to amalgamate with Brunswick Park Ladies Cricket Club, a strong Club replete with Victorian – Nicola Hancock, Kathleen Hempenstall and Emma Inglis – and Australian – Elyse Villani, Nicole Bolton and Jess Cameron – players. Prahran now fields six senior teams (four men's and two women's) in Premier Cricket.